Increase efficiency and content consistency through single-source publishing of documentation for 10 environmental assessment schemes, including printed manuals, downloadable PDFs, and online Help. Strengthen collaboration among BRE writers and subject matter experts. Enhance users experience by making it easier to navigate the documentation to find the information they need. Efficiency - MadCap Flare’s topic-based single-source publishing simplifies the delivery of documentation, including online Help, PDF files, and printed manuals. Snippets and conditional tags enable writers to tailor content for manuals serving different audiences. Quality - Single-source publishing in MadCap Flare ensures consistency across different manuals. MadCap Analyzer analyzes BRE&apos;s Flare-based content to identify issues and recommend improvements. Collaboration - Integration of MadCap Flare with Subversion provides version control of content created by teams of writers. MadCap Contributor enables other BRE team members to contribute content to Flare without having to worry about the design elements. Intuitive User Experience - Search functionality and glossaries built using Flare enable users to readily find the information they need whether accessing documentation online or in print. BRE Group, headquartered in the United Kingdom, is a world-renowned building research, consultancy and testing organization for the construction and build environment sectors. For nearly 100 years, BRE has helped government and private sector clients meet the significant environmental, social and economic challenges that clients face in delivering homes, buildings and communities. Over time, BRE has created the Building Research Establishment Environmental Assessment Methodology (BREEAM), which is the world’s longest established method of assessing, rating and certifying the sustainability of buildings. More than 250,000 buildings have been BREEAM-certified, and more than a million are registered for certification in the UK and worldwide. 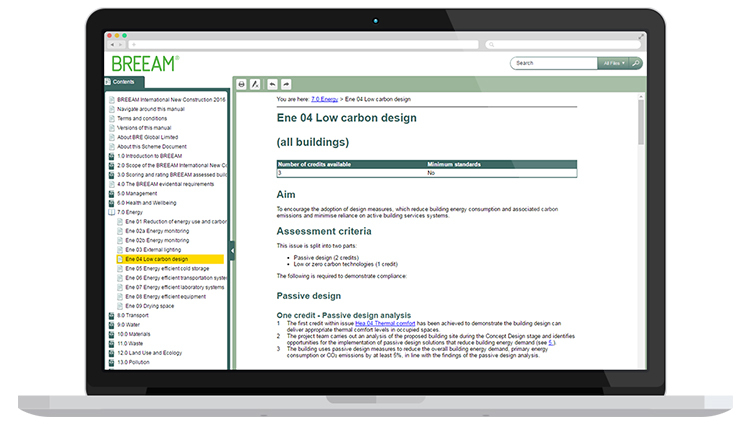 To help its independent, licensed assessors and customers understand the BREEAM process, requirements and ratings across different categories of sustainability, BRE delivers online Help, printed manuals, and PDF guides. Today this documentation is delivered using the single-source, multi-channel publishing capabilities of MadCap Flare. 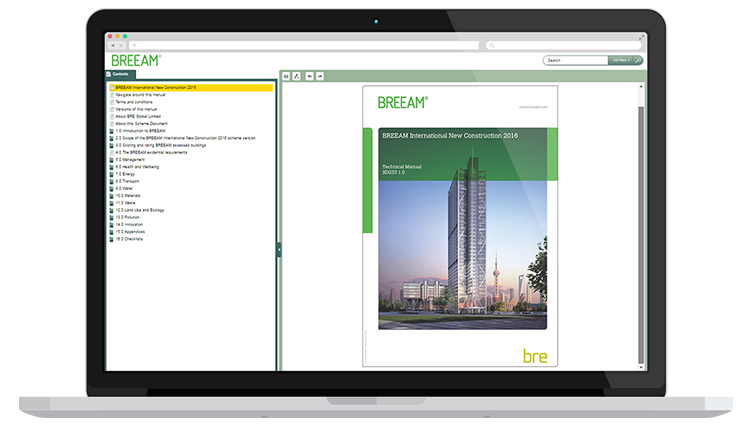 For years, BRE used other software to produce its online Help and print documentation. However, BRE found it increasingly difficult to keep track of multiple versions of the same documentation, each with slightly different variations. BRE began its software search with three goals in mind. It had to help the company keep track of multiple versions of its manuals; update documentation efficiently; and produce it in a mix of PDF, online Help and print formats. In the process, the company evaluated products from several technical documentation software companies, including MadCap Software. Taking advantage of MadCap Flare’s single-source functionality has enabled BRE to organize, customize and reuse content for ten different BREEAM schemes. These include manuals for each of the four countries that comprise the United Kingdom (UK): England, Wales, Scotland and Northern Ireland. Additionally BRE produces a general UK manual for non-domestic builders plus international manuals for new and refurbished non-domestic buildings. Because all of the documentation is stored centrally in a MadCap Flare project, BRE is able to reuse the content that is common across its various manuals, as well as prevent duplicate information and inconsistent phraseology. “The topic-based approach to authoring and content reuse enabled by Flare have allowed us to drastically cut down the time it takes to create manuals and get the information out to our assessors and customers,” Giblin observes. For our UK non-domestic manual alone, we have seven different versions–all with slightly different information, and trying to keep track of all that without Flare would be impossible. Additional capabilities in MadCap Flare have enabled to BRE to streamline the process of creating and publishing documentation, including the Microsoft® Word import function, snippets, and conditional tags. “Using Flare, we’ve adapted all of our UK manuals from Word documents into single-source documentation, and it’s been working out great for us,” Giblin says. For example, BRE has five different print versions of the UK non-domestic manual plus online Help and a downloadable PDF file. “For our UK non-domestic manual alone, we have seven different versions–all with slightly different information, and trying to keep track of all that without Flare would be impossible,” Giblin notes. The MadCap support team and community also have contributed to BRE’s efficiency by helping the company to resolve issues quickly. To enhance the quality of its manuals, BRE also uses MadCap Analyzer, which is fully integrated with MadCap Flare. MadCap Analyzer goes through BRE’s Flare-based documentation to help find issues, such as missing content, broken hyperlinks, and unused style sheets that need to be removed from the project. Additionally, BRE uses the reporting feature in MadCap Analyzer to share information with its documentation teams about issues and the progress of projects–further helping to ensure the quality of manuals while improving team efficiency. Before we go live with our Flare-based manuals, Analyzer gives us the chance to verify the status of our links, and it notifies us if we are missing pages in our documentation. At the same time, BRE fosters team collaboration through the use of Apache Subversion, Microsoft® SharePoint® and MadCap Contributor. Meanwhile, MadCap Contributor enables BRE’s writers and subject matter experts to review and contribute to content in a Flare project. We’ve been using Flare for a number of years now with much success, and we are excited to move forward with Flare and see what it has to offer for our future. The range of manual output serves to address the diverse needs of assessors and customers going through the BREEAM process. Across the company’s different print and online versions of documentation, BRE provides a glossary created using MadCap Flare, which breaks down for readers the acronyms associated with the construction industry. “Our glossary of acronyms helps out people who aren’t experienced in sustainability construction to easily find those acronyms and the meaning behind them on our Help website,” Giblin says. For online users, BRE also uses the search functionality enabled by MadCap Flare. As BRE moves forward, the company is looking at additional ways to enhance the user experience. The company is revisiting how to make its manuals, which can run 400 to 500 pages long, easier to navigate. It also is examining how to create versions of manuals that are fully optimized for mobile devices, as well as how to modernize the web experience of its online Help.